Scientology is a personal development movement. It acknowledges that the abilities apparently possessed by an individual are only a fraction of his or her true potential, which includes improved health, greater mental clarity, heightened perception and awareness, and a high level of personal integrity. Its practices are centered on removing the influences (known as engrams, described below) that block this potential. Scientology acknowledges the existence of a supreme being, and followers consider their beliefs to not be in inherent conflict with other religions. However, the focus of Scientology is the development of people's own natural abilities, and those abilities are understood to be achievable only through the methods of Scientology. Scientologists are expected to look to Scientology, not other religions, for answers to fundamental questions, and are to only keep passive membership in any other religion. The Church of Scientology (CoS) is the original organization that promoted Scientology, and most news concerning Scientology today involves the CoS. However, there are splinter organizations that also promote Scientology, collectively known as Freezone Scientologists. They consider the Church to have become corrupted and strayed from original teachings. The Church labels all splinter organizations as apostates and accuses them of providing false information and being profit-motivated. 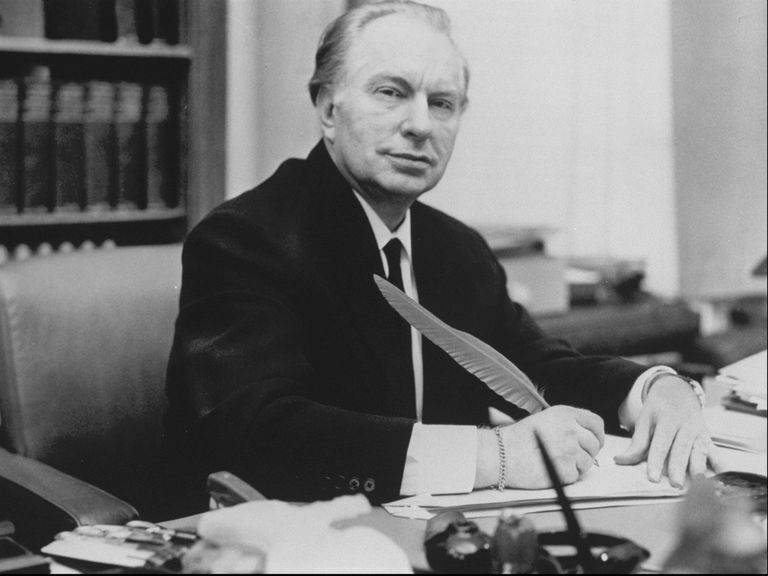 Successful science-fiction author L. Ron Hubbard developed Scientology in the mid-20th century. His original beliefs were published in 1950 in a book called "Dianetics: The Modern Science of Mental Health" and later refined, expanded upon and codified in the practices of the Church of Scientology, which was established in 1953. The term Scientology is a composite of the Latin term scio and the Greek term logos, and means “knowing about knowing” or the “study of wisdom and knowledge.” To Scientologists, its practices represent a search for knowledge, particularly about the spiritual self, and the correct application of technology to forward such learning. It is not seen as being dependent upon faith: Scientologists believe because they have personally experienced positive and expected results from their practices and teachings. Thetans: Every person possesses an immortal soul known as a thetan, which passes from body to body and life to life through a system of reincarnation. Each thetan is inherently good and gifted with unlimited capabilities. Engrams: When a person experiences a traumatic event, the reactive mind forms a mental image picture of the event, including all perceptions and experiences relating to the event. These mental image pictures, or engrams, are retained for life and also from past lives even when the person no longer has a conscious memory of the incident. Engrams plague their host, causing misery, diminishing ability, and generally corrupting the thetan into something less good than its original form. Clear: Scientologists who are rid of all engrams are known as Clear. Not only is this person no longer subject to the limitations imposed by engrams, but also the reactive mind has been neutralized and will no longer form new engrams. Operating Thetans: When one learns to how to fully utilize the capabilities ultimately inherent in all thetans, he or she is known as an Operating Thetan or OT. OTs function in a state not limited by physical form or the physical universe. Thus, an OT “is able to control matter, energy, space and time rather than being controlled by these things,” according to the Church of Scientology’s official website. After one becomes Clear, he or she may be invited to study to become an Operating Thetan. These levels of instruction are commonly designated OT I, OT II, OT III, OT IV, etc. Levels OT I through OT VII are considered pre-OT levels. Only at OT VIII — the highest currently attainable level — is one considered a full Operating Thetan. Scientologists celebrate births, marriages, and funerals and routinely have Church officials preside over such ceremonies. In addition, Scientologists celebrate several annual holidays that are specific to the development of Scientology. This includes Hubbard’s birthday (March 13), the original publication date of "Dianetics" (May 9), and the formation date of the International Association of Scientologists (October 7). They also have set aside days to celebrate certain aspects of their practice, including Auditor’s Day (second Sunday in September), which honors all those who perform this central and crucial function within the Church. While the Church of Scientology retains tax-exempt status in the United States, some have argued that it is primarily a moneymaking endeavor and thus should be taxed. Scientology practices are limited in a number of other countries, particularly Germany. Many also view the Church of Scientology as bearing several signs of a dangerous cult. Several Scientology books address these and other criticisms. Scientology has also had multiple run-ins with the medical profession. Scientologists are highly critical of the entire psychiatry profession, which they view as a tool of repression. Scientology actively recruits artists and celebrities and currently runs eight Celebrity Centres largely dedicated to their participation. Well-known Scientologists include Tom Cruise, Katie Holmes, Isaac Hayes, Jenna Elfman, John Travolta, Giovanni Ribisi, Kirstie Alley, Mimi Rogers, Lisa Marie Presley, Kelly Preston, Danny Masterson, Nancy Cartwright, and Sonny Bono. Is Discordianism a Religion or Simply a Parody?